FBI reportedly looking into negotiations and financing surrounding Trump International Hotel and Tower in Vancouver, Canada. The FBI is looking into one of Ivanka Trump's international business deals, two sources familiar with the matter told CNN on Thursday. According to the report, the FBI has been looking into the negotiations and financing surrounding Trump International Hotel and Tower in Vancouver, Canada. 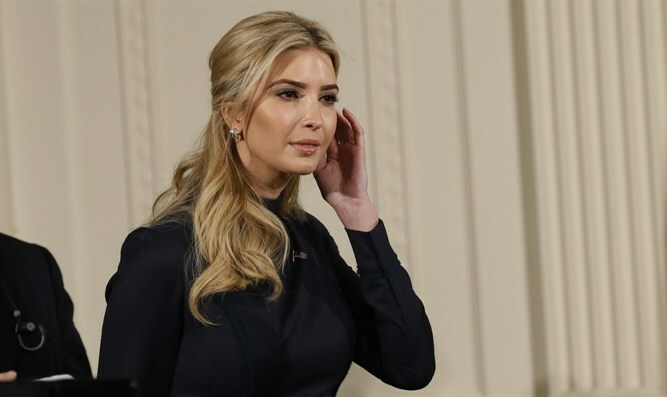 The scrutiny could be a hurdle for the first daughter as she tries to obtain a full security clearance in her role as adviser to President Donald Trump. The FBI has reportedly been looking closely at the international business entanglements of both Ivanka Trump and her husband, Jared Kushner, to determine whether any of those deals could leave them vulnerable to pressure from foreign agents, including China, according to a U.S. official. The development in question, a 616-foot beacon dotting the Vancouver skyline and featuring a trademarked Ivanka Trump spa, opened in February 2017, just after Trump took office. The Trump Organization does not own the building, noted CNN. Instead, like other Trump projects, it receives licensing and marketing fees from the developer, Joo Kim Tiah. A scion of one of Malaysia's wealthiest families, Tiah runs his family's Canada-based development company Holborn Group. President Trump's June financial disclosure form said the Trump Organization made more than $5 million in royalties and $21,500 in management fees from the Vancouver property. The $360 million project, which features 147 guest rooms and 217 luxury residences, quickly became a magnet for foreign buyers. The report comes several days after Kushner’s security clearance was downgraded, preventing him from viewing many of the sensitive documents to which he once had unfettered access. Kushner was not alone in the regard, however, as all White House aides working on the highest-level interim clearances were informed that their clearances would be downgraded to the Secret level. The Washington Post later reported that since Kushner took on his role as senior adviser to President Trump, officials in countries including China and even Israel have discussed ways to use Kushner's web of business deals to manipulate him. "CNN is wrong that any hurdle, obstacle, concern, red flag or problem has been raised with respect to Ms. Trump or her clearance application," Peter Mirijanian, a spokesman for Ivanka Trump's ethics counsel, said Thursday in response to the CNN report. "Nothing in the new White House policy has changed Ms. Trump's ability to do the same work she has been doing since she joined the Administration." Alan Garten, executive vice president and chief legal officer for the Trump Organization, said, "the company's role was and is limited to licensing its brand and managing the hotel. Accordingly, the company would have had no involvement in the financing of the project or the sale of units." White House spokesman Raj Shah declined to comment on Ivanka Trump's security clearance. The FBI declined to comment. The Holborn Group did not respond to requests for comment.